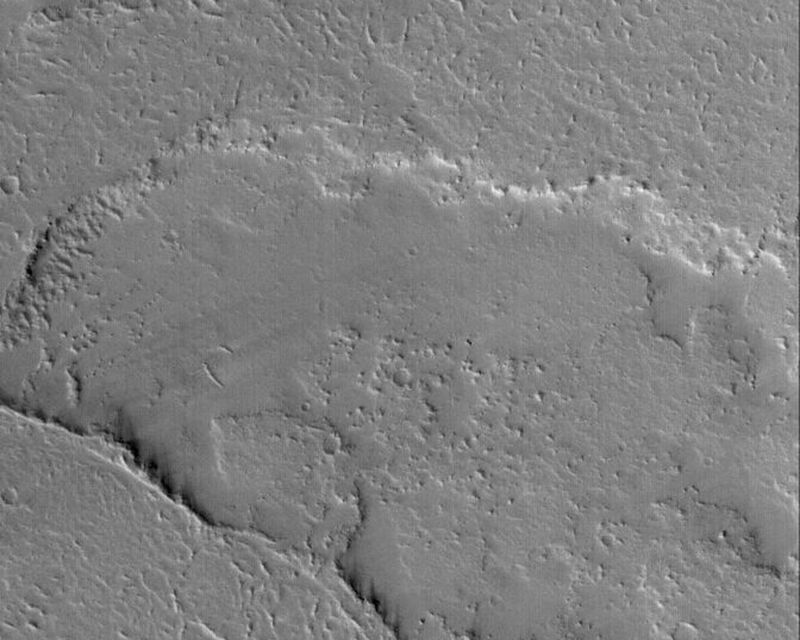 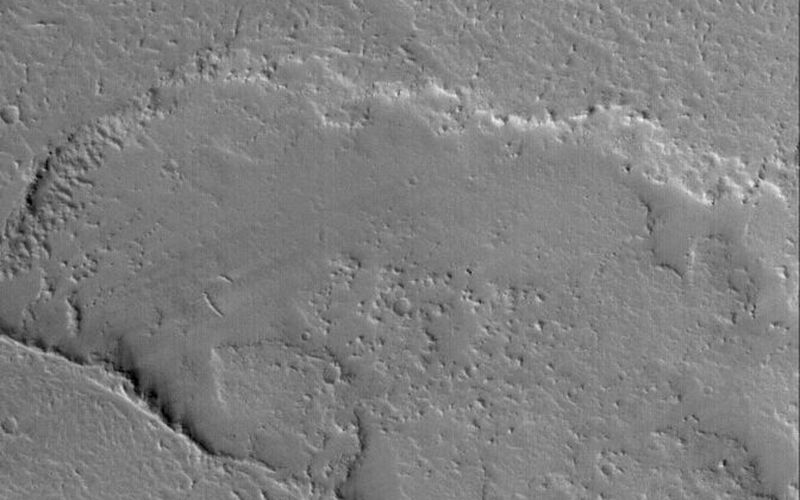 This Mars Global Surveyor (MGS) Mars Orbiter Camera (MOC) image shows several overlapping lava flows located on the vast plains east of the volcano, Ascraeus Mons. Hundreds of lava flows cover the plains from Ascraeus Mons eastward to Kasei Valles. 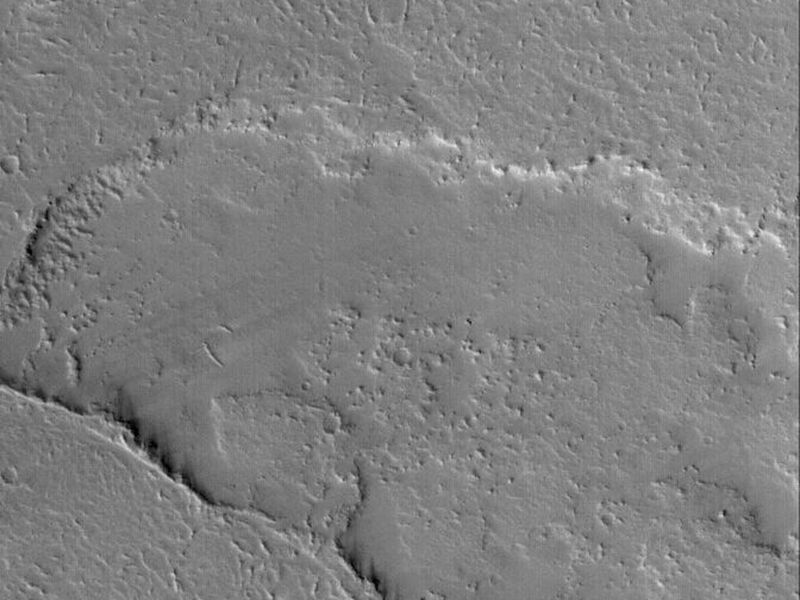 These flows have largely been mantled by fine dust; a few areas in the image exhibit dark streaks, where wind gusts have stripped away some of this thin dust mantle.